Ulrich Mühe, Martina Gedeck, Sebastian Koch et al. DVD: 132 min., Blu-ray: 138 min. In this outstanding psychological and political thriller, we get a fascinating insight into the lengths and depths that the East European government went to in order to keep tabs on the lives of its population in 80s. When cold and brutal official Wiesler is given the task of spying on acclaimed playwright Dreyman and his actress girlfriend, he relishes the task, knowing that if he uncovers subversive behaviour he will gain favor with his boss. But the longer he listens in on the couple, their friendships, passions and ideas, the more he realises that his own life and the harsh political regime are lacking in color and joy in many respects. Slowly he begins to doubt morality of is job and politics. As the lines between orders and compassion become blurred, Wiesler becomes more involved with his subject, walking a dangerous path between his duty and his new found reality. A suspenseful, poignant and utterly compelling film from director Florian Henckel von Donnersmarck. (8) of (9) members found this review helpful. A heartfelt and moving account of life in the DDR. Stately and impresive rather than a gripping Bruce-a thon, it boasts nonetheless some intensely watchable performances from top German stage actors. The fact that some people had the courage to speak out against an all-seeing, all-knowing regime who had the power to ruin the life of anyone who stood against them is hard to take in when you've grown up taking everyday freedoms for granted, but the key message of "The Lives of Others" is that the desire for personal freedom is contagious and that no-one is immune. Another German movie about its recent history and thus also European history. The story takes place in the mid-80's East-Berlin and shows to which lengths the regime went to control and sometimes destroy citizens who weren't "good socialist citizens". Excellent actors and GDR details spot-on. After "Downfall/Der Untergang" and "Sophie Scholl" a German film everone should see. This movie is excellent! I loved every bit of the movie. A real peace of art!! Can't wait to get the DVD. It's a very good film. Not sure if it's the same for everyone but I started watching and there wasnt any subtitles - so you have to select them otherwise it starts without them. I am sure that this a good film, but the subtitles are inadequate, with many sentences in German translated into a few English words. My wife and I gave up. If I had known this, I would not have added this film to the list. At first I thought the film would be dissapointing as it seemed slow and grey! Good job we stuck with it. First impressions were setting the atmosphere for the unfolding narrative for a time that is alien to our society now. 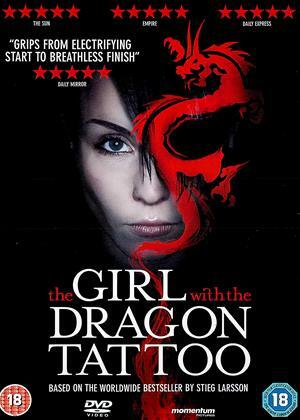 The characters are well portrayed, the twists to the plot are subtle and the storyline kept the viewer entralled. By the credit role we couldn't believe our luck in coming across such a fabulous film, my 16 year old son thoroughly enjoyed it. Set in 1984 East Berlin the film is German, with subtitles. But please don't let that put you off - it's superb. 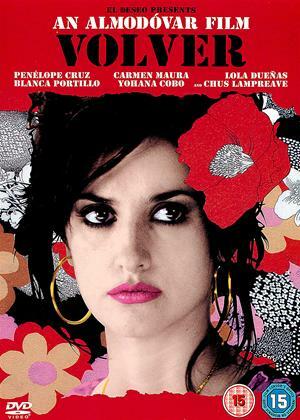 That's why it won the 2007 Oscar for 'Best Foreign Language Film' and why it's currently (Jan 2012) at #56 on the IMDB Top 250. Slow moving, yes – but gripping. It tells the tale of a Stasi security police captain (Gerd Wiesler, played by Ulrich Mühe) who is assigned to surveillance duty on an author and his actress girlfriend. But it soon emerges that this is being done for the advantage of a high ranking party official and Weisler becomes aware of the bleakness of his own life, the hypocrisy of the state machinery, and the need to do something. By his actions he assists in the publication of an article in the West German press, ruins his own career, and is the indirect cause of the death of the woman. A really excellent drama – highly recommended. 5/5 stars. A beautifully acted and directed film. Don't be put off by the opening sequences, it is "grey" and dour but it builds to an exciting story which is both thrilling, intelligent and sad. The last few minutes of the film are unexpected and watch for the subtle change of expression on the face of the actor at literally the very end of the film...heartbreakingly beautiful! A superb study of the repressive regime of the Stasi in pre-eighties East Germany. Ulrich Mùhe excels as the softening Stasi agent, his performance made all the more convincing by his own real experience of being the subject of surveillance. I found great optimism in this film. 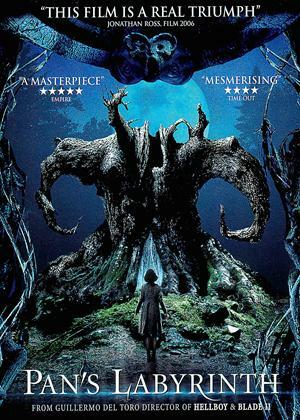 Let's be honest from the beginning - I didn't like this film and was vaguely disappointed. It took me a while to work out why. Basically, I think its because although the film is brilliant, I didn't like it. In addition, it is billed everywhere as a "Thriller", a "Political Thriller" and a "Psychological Thriller", but a thriller it ain't. Quite rightly, this excellent film has won awards and plaudits everywhere. 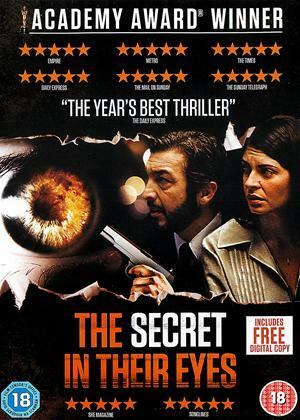 It is realstic in minute detail, informative, carefully and subtly plotted and scripted, and brilliantly acted. But there's the problem - as another reviewer says, "it seemed slow and grey". If you want to be informed, great - but if you want to be entertained, give it a miss. We were looking forward to the film but the subtitles were incomplete and missed much of the dialogue. This is a problem for non-German speakers. First few moments of seeing Stasi and interrrogation room I thought oh no what have a let myself in for. The subtle, unusual love story creeps up on you - beautiful in a story running with an abuse of power theme. The state born of pure idealism is shown in its all too human interpretation - job worthiness and bullying. To make a film that is entertainment but with social comment is always genius and this film has both, and a hero to knock the spots off Arnie. A superb film; poignant, uplifting, and unforgettable. Yes, the setting is 'slow and grey' and that's the very point of it. It leaves one with a feeling of optimism and faith in humankind despite all odds. 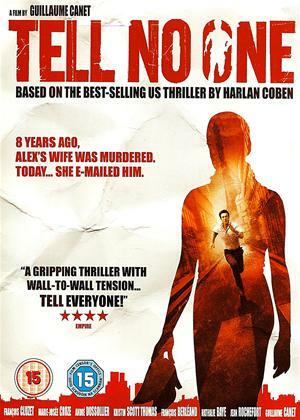 It's a shame this film is described as a thriller - which it certainly isn't - and therefore disappoints some viewers expecting more action. There is excitement of a more subtle kind however, and a building tension. This is one of the best films I've seen. Where this movie is extremely powerful is in its depiction of a man who does bad things not because he's a bad person, but because he lives in a profoundly warped society where horrendous levels of state repression are seen as normal, and gradually catches on that what he's doing is terribly wrong. Ulrich Mühe never has the easy option of expressing his changing beliefs in a passionate speech which conveniently explains everything to the audience. Since his one-man rebellion is initially for purely personal reasons, he has no allies to spout plot exposition at, so he has to express his doubt, fear, and many other emotions by looks, verbal nuances, and other subtle cues. This is called "acting", and unlike many movie actors, he's very good at it indeed. Where the film falls down somewhat is its lack of subtlety elsewhere. Many of the supporting characters, especially the baddies, are a bit flatly written, and there are too many moments when the plot relies on people being implausibly bad at their jobs, or just plain stupid. The attempts of the secret police to search a small flat for something quite big hidden in a really obvious place will raise inappropriate laughter from anyone who remembers those Roman soldiers in "The Life of Brian"! And the utter grimness of every moment of everybody's lives, to the point when it almost seems as if the ability of the dissidents to sometimes be genuinely happy is the political offense they're being investigated for, goes so far over the top that the viewing experience is more depressing than it needs to be. Were Communists forbidden to have meaningful relationships? I don't think so, but if this film was my only source of information, I'd assume that behind the Iron Curtain it was a crime to fall in love. Ulrich Mühe's performance deserves five stars, but there were too many other characters and plot twists I simply didn't believe in, and to be honest, I admired the acting and what the film was basically trying to say while not really having an enjoyable time watching it. I think most of us understand that Russian Communism was a bad idea and life in East Germany prior to 1989 wasn't much fun without being reminded every two minutes that they all had to live in a dreary grey prison where it was illegal to smile. (2) of (8) members found this review helpful. I had hoped the sub-titles would be in English. It was unwatchable as we did not understand the language. Perhaps there is a way of choosing the language - but we could not find it. Powerhouse, realistic political drama of a Stasi official in the old East whose loyalties begin to shift as he carries out surveillance on a charismatic, liberal couple working in the theatre. A film that makes you question your own worth and values. Starts slowly, but builds to an amazing ending that will haunt the rest of my life. 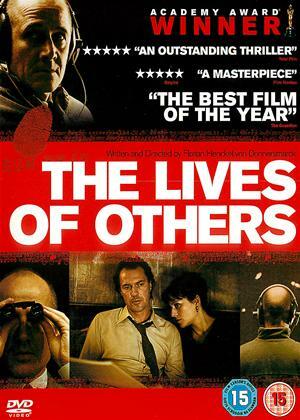 Making Of "The Lives of Others"